This seaglass brooch features an olive green piece of Saint Martin sea glass set in a silver bezel. 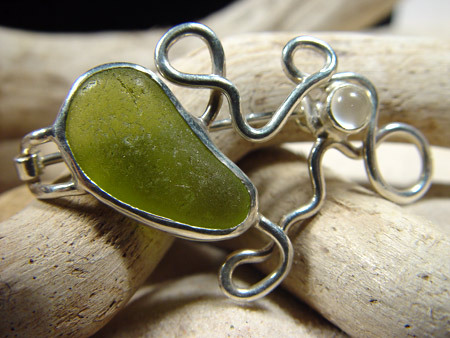 The seaglass is accented with a 5mm White Moon stone set in hand drawn tube. The backside of the seaglass brooch has a hammered sterling silver pin. The brooch measures 2"x 1-1/4"